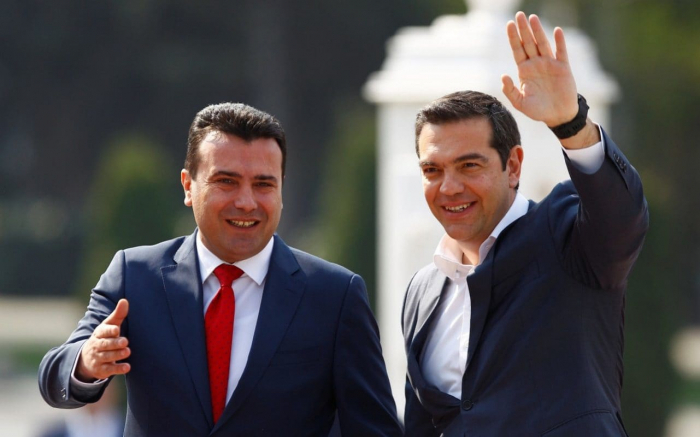 Greece's prime minister landed in Skopje on Tuesday for a historic visit to the newly renamed North Macedonia to join in marking the end of a decades-long identity row between the two countries. Now the neighbours are also touting the promise of boosting economic ties, with Tsipras travelling with 10 ministers and more than two dozen Greek business leaders. After political meetings and a press conference on Tuesday, the two politicians are scheduled to attend a business forum.